Is there no humiliation left for the Palestinians? After Oslo, after the “two-state solution”, after the years of Israeli occupation – of “Area A” and “Area C” to define which kind of occupation the Palestinians must live under – after the vast Jewish colonisation of land thieved from its Arab owners, after the mass killings of Gaza, and Trump’s decision that Jerusalem, all of Jerusalem, must be the capital of Israel, are the Palestinians going to be asked to settle for cash and a miserable village? Is there no shame left? “I believe,” quoth Crown Prince Kushner this week, “that Palestinian people are less invested in the politicians’ talking points than they are in seeing how a deal will give them and their future generations new opportunities, more and better-paying jobs and prospects for a better life.” Is Trump’s son-in-law – “adviser” on the Middle East, real estate developer and US investor – delusional? 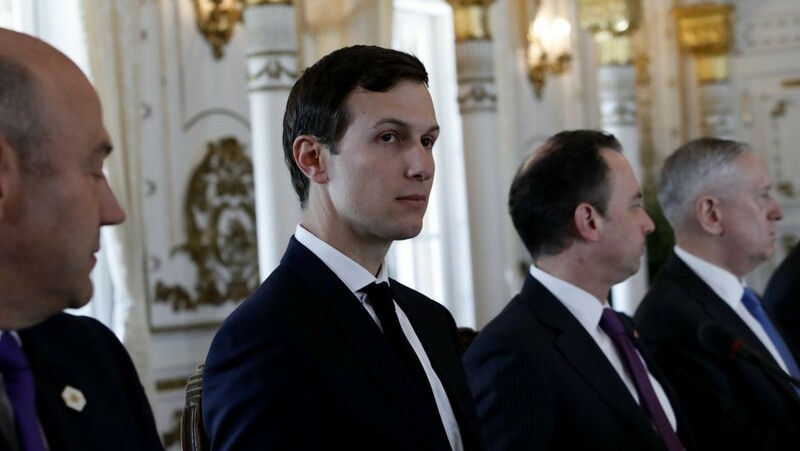 After three Arab-Israeli wars, tens of thousands of Palestinian deaths and millions of refugees, does Jared Kushner really believe that the Palestinians will settle for cash? Did he not notice – ever – that the Palestinians who have protested and suffered and died and lost their lands for 70 years have not been demonstrating in their streets for better roads, duty-free zones or another airport? Does he think that the people of Gaza have come onto their streets and marched towards the lethal border fence because they are demanding new prenatal clinics? How can he humiliate an entire Arab people by suggesting that their freedom, sovereignty, independence, dignity, justice and nationhood are merely “politicians’ talking points”? Is there no end to this insanity? But no. Nor would it have mattered. Abbas has broken off all diplomatic relations with the White House since Trump’s recognition of Jerusalem as the Israeli capital and withdrawn his ambassador to Washington. The “ultimate deal” – originally the Oslo agreement, although even that was a poisoned chalice, and then a whole series of miniature retreats and withdrawals and further occupations, and then ad hoc “anti-terror” conferences – now represents only the total humiliation of the Palestinian people: no East Jerusalem, no end to colonisation, no recognition of the right to return, no state, no future. Just cash.